On 29 August 2005, all major U.S. TV networks were poised to cover what was, potentially, to be the most devastating natural disaster to ever hit the United States. No network could afford (literally) to miss this unique opportunity. As the mounting storm’s increasing size was trumpeted throughout the lead-up hours, TV reporters, crew and resources were dispatched to every corner of harm’s way to provide embedded, up-close-and-personal video of this “killer” category-five storm. This was to be network TV’s moment to shine with firsthand pictures of nature’s “awesome cruelty”. Instead, newscasters aired a malfeasance of equal proportion... a horrific, surreal performance... unconscionable beyond measure. This 26:00 minute video was gleaned randomly, but chronologically as I watched it live, zapping between channels on my home TV (with two TiVos), over a 5.5 hour period (7:30am - 1pm EST) as Hurricane Katrina made landfall. In this video we see representational excerpts of news coverage from every major U.S. news network. In them we witness potentially lethal verbal-visual ‘disconnections’ between leveled facts and hype, between intelligence and ignorance, between warning and exhilaration, between help and hindrance. As with all TV, both audio and images are broadcast simultaneously, yet as we often find, these are often proffered illogically in direct opposition. Indeed, cable news ‘played’ this direct opposition almost like a video game. Why? How were viewers to decipher the illogical on-air presentation? This video is about what I saw and heard on my TV that Monday morning... these are the very first pictures of the hurricane. It is my first long-form, critical appropriation as TVmedia ethnography. A review of this video montage illustrates that much reporting during Hurricane Katrina went well beyond mere factual dissemination and actually promoted a potentially lethal interpretation of survivability -- indeed, the storm’s landfall was presented as an exhilaration, even fun. Full evacuation was certainly a known option (albeit previously reported to be cumbersome, traffic-jammed, stalled), but as TV viewers clearly saw for themselves, the hurricane could be survived -- we saw numerous reporters willfully standing outside in it. TV showed us that “riding-out” the storm made for a unique and thrilling event: “We survived Hurricane Katrina!”. Every news channel showed it could be done... while, in reality, thousands remained uninformed and in mortal danger. Not only did this catastrophe have all the initial promise that fuels news reporting today, it delivered the essential components: extreme, localized visuals with little need for the trappings of classic journalism. For TV news is no longer an aggregate of collected facts which are then arranged, cross-checked, edited, and presented within a reasoned format. That old-school style is now deemed too expensive, too stale, too objective. The future of news, of course, is with “breaking” - “news now” - action events. Hostage situations, police car-chases, natural disasters, among others, all require little more than a single on-location camera with studio voice-over audio. The modus operandi for news today is to let the viewers see the “unfiltered” action unfold; parade studio “experts” to hypothesize, speculate, obfuscate; fill the time slots between commercials with inconclusive repetition; and hope for spectacular visuals to retain the eyeballs. As the great swath of devastation swept across the Gulf coast, news networks chose to concentrate their efforts on broadcasting titillating, sensational video. Conversely, information about immediate survival tactics, options for localized assistance, routines for medical emergencies, and pre-planning for a methodical recovery in the eventual aftermath were utterly ignored. Words and images communicate differently. TV news clearly understands this, yet, in lieu of helpful, usable information, it continues to visually exploit catastrophic events primarily for easy monetary gain. EVERY network newsmaker owes an apology to the citizens of the Gulf coast for its unconscionable reportage during Hurricane Katrina, during these crucial first five hours and beyond. They also owe a heartfelt promise to report responsibly next time from the onset. But as we can see every day, this still has yet to happen: Virginia Tech Shootings, the 2008 Election, and BP Oil Spill. 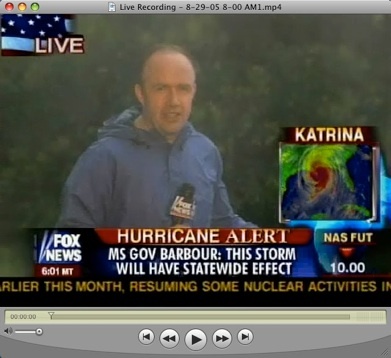 Four views illustrating both TVmedia & government relationships to the aftermath of Hurricane Katrina. Horrifically lethal double-think from George Bush. Obfuscation and dismissal from Donald Rumsfeld. Ready-made human-interest-celebrity manufactured for profitable consumption. Even hurricane victims can get 15secs if they have good teeth and a wide smile. Tony Zumbado, NBC cameraman, eyewitness. HURRICANE EARL: 31 August 2010. Two days after the five-year anniversary of Hurricane Katrina and two days before Hurricane Earl is to approach the U.S. east coast, we have too quickly forgotten the very FIRST images of the New Orleans disaster -- of broadcast malfeasance -- amongst the deluge of visual documentation that has followed. American television news caused death by disregarding its ethical duty in a time of great need, doing the American public a grave disservice by opting to broadcast extreme, ”breaking” images, in real time. Today, we still hear no reflexive discussion from the networks about how their TV reporting failed, what was learned from these mistakes, or how news organizations must broadcast our next catastrophes differently. Until then, our national TV news media continue to fail. CHILE TSUNAMI: 27 February 2010. Indeed, the problem with news is not what it says... study it longitudinally and see for yourself... our news eventually says everything. Rather, the problem is how TV news media production pushes aside the tenets of ethical journalism in favor of its technological prowess and its insatiable demand for sensational presentation. Take the Chilean Tsunami, for example. 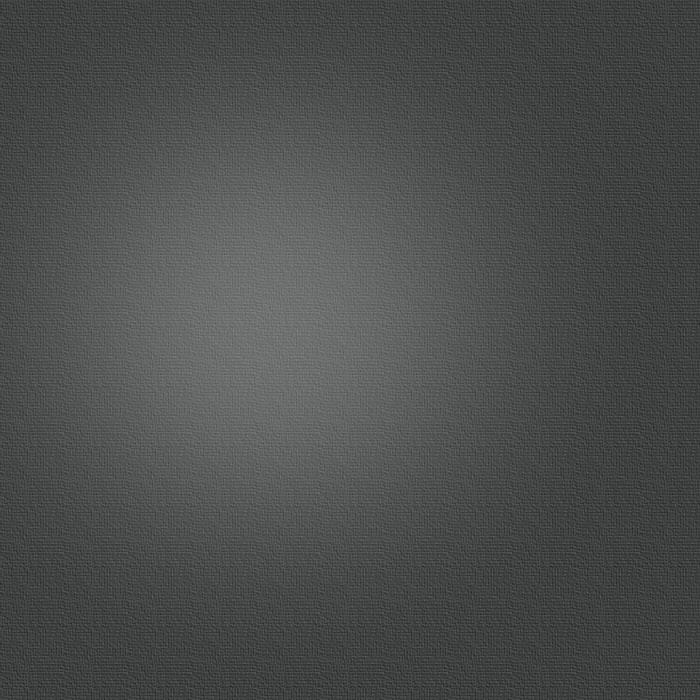 Nearly ninety minutes of live broadcast ‘breaking news’ nothingness. WEATHER REPORTING: But then, most all weather reporting is dangerously illogical. Such are the perils of unnatural representation. 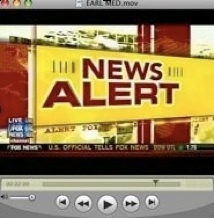 FYI: And this video leads with a clip of the 2005 movie The Weatherman, starring Nicholas Cage. Why? Because the background TV studio environment was designed by me for WMAQ-TV5 in Chicago (2003). Like everyone else, I too get ripped off... even as I rip. No worries, media teaches us every step of the way... whether we pay attention or not.